I’m tired of waiting, so I put out my own version of Vault Mirror for 2014. Vault Mirror is my baby, and nobody puts baby in a corner. This hasn’t gone through the proper level of QA, which is why it’s on my blog instead of the app store. Maybe it will make its way up to the app store, or maybe it won’t. Whatever the outcome, I have you covered. Click on the link below to download Vault Mirror 2014. To use, just unzip and run. New command line option: -WF. Downloads files based on your working folder settings. New command line option: -noFail. 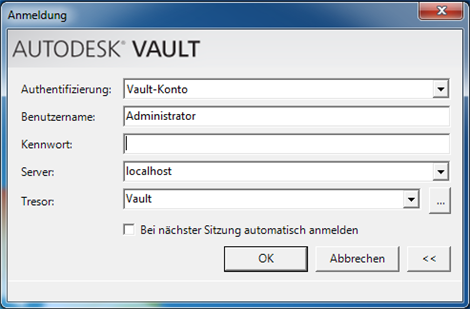 If there is a download error, Vault Mirror moves to the next file instead of immediately aborting. The cancel button actually works. In the past 6 releases, hitting the cancel button didn’t actually cancel the operation. Nobody seemed to mind, but I thought I should fix it anyway. Here are some tips on getting the most out of DECO. If you are not familiar with XAML or Visual Studio, then this video should help you with a few things. Be warned, I’m not good at making pretty UI. The dialogs you will see in this video violate every rule of good taste. But the important thing is that you see the steps involved. This will allow you to create UI that looks much better. So, you don’t want to use AcquireFiles? You want to stick with web services? Fine, you can do that, but don’t say I didn’t warn you. The web service mechanism for uploading/downloading got real ugly in Vault 2014. The main reason for the change was the file store server architecture. The database server controls things like security and the file store server controls the actual bits. So you need to make at least 2 calls for every file transfer. Also, there are special headers that need to get set on each call. They were optional in the last release but they are required for 2014. The code above contains examples of AddFile, CheckinFile, CheckoutFile, and DownloadFile. All Vault operations are done through the WebServiceManager. No Connection object required. 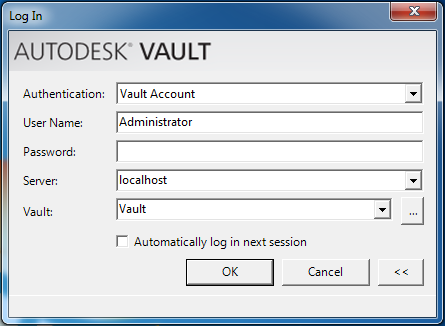 One of the neat things about the UI components in the SDK is that they are also used by the Vault clients. This means that when the product gets localized, the SDK components get localized automatically. All you need to do is grab the satellite assemblies and distribute them with your app. Oh wait, you don’t need to do that. Dan Dulzo has already done this for you. Thanks Dan. This should include all the langauges that Vault supports. If we missed one, let us know. You should only use this for EXEs you write or when plugging in to a non-Autodesk application. If you are plugging in to an Autodesk product, the localization pack(s) should already be in place. In the zip file are a bunch of folders with language codes for names. Grab the folders you want and place them under your EXE folder. For example, if your app is installed at c:\myApp\Program.exe, then your German language back would be at c:\myApp\de. Don’t feel you need to have one language folder. Feel free to dump them all in your EXE folder. At runtime, Windows will load the appropriate language pack based on the OS settings. If your language isn’t in the language pack, the UI defaults to English, but you knew that already. This language pack only supplies localizations of UI in the Vault SDK. Any UI you create yourself will have to be handled by you.